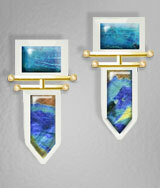 Want some inspiration for custom earring designs? 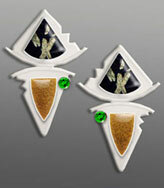 These images were created with a combination of digital photography and an image editor to illustrate some example earring designs. 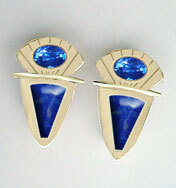 If you are interested in placing a custom order for earrings be sure to check out the cabochons pages to see some of the currently available stones/rough. 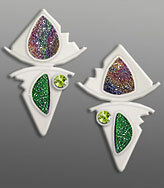 The custom earings page shows some previously commissioned earrings that were based on illustrated designs similar to the ones shown below. 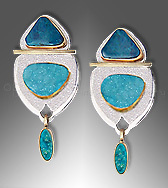 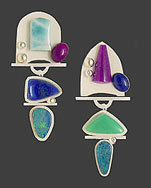 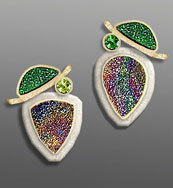 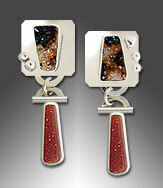 See custom jewelry designs for commissioned pendants, bracelets, rings and mens jewelry.